Tim Burkett reveals how and why the wisdom of non-holiness is the key to a joyful heart. You don’t need to go looking for something sacred—the happiness you seek is right where you are. In his book, a concise summary of Zen teachings unfold within the ordinary comedies and tragedies of everyday life—beginning with the delightful non-holiness he experienced in the presence of his original teacher, Shunyru Suzuki. Often, in meditation, we are besieged by desire. One desire after another, they cycle through our mind endlessly. We’re alone with them, with nothing to distract us and no way to fulfill them. We can only look at the endless parade of desires. If you sit in meditation with devotion, you will have to see and endure your desires. After a while, we realize how irrelevant the object of our desire is. It is desire itself that perpetuates our suffering. We use desire to cover up all sorts of difficult emotions. If we’re insecure, we set goals that will prove our self-worth. We use goal-setting to cover deep hurts or painful memories. Avoiding difficult emotions perpetuates them. The cycle repeats itself with even more intensity. Can you accept your desires graciously? When you sit on the cushion and see one desire after another and feel how consuming each is—if you remain on your cushion, then you are graciously accepting them. It may not feel gracious on the inside. But when the bell rings and the desire suddenly dissipates, we recognize how little it actually means to us. Often it was just a temporary distraction from the pain or boredom that was coming up. Developing a gracious attitude toward our obsessive desires is what Zen practice is about. Seeing the nature of desire is the beginning of spiritual liberation. From Nothing Holy About It: The Zen of Being Just Who You Are, by Tim Burkett, © 2015 by Tim Burkett and Wanda Isle. Reprinted with permission of Shambhala Publications. “Enjoy this wonderful, useful, profound yet modest book that expresses the true spirit of Zen. It and its warm-hearted author are blessings for the world, and I am honored and very pleased to introduce them to you.”—from the foreword by Norman Fischer, author of Training in Compassion. For anyone who wants to know what Shunryu Suzuki was really like, Tim Burkett’s “Nothing Holy About It” is a great place to start. It is the best book since David Chadwick’s “Crooked Cucumber” to paint such an intimate portrait of America’s most influential Zen teacher. Tim Burkett was there with Suzuki Roshi for the Palo Alto talks that led to “Zen Mind, Beginners Mind”. In fact, as a young Stanford student, Burkett helped organize the study group that made those seminal talks by Suzuki Roshi possible. He was also there when Suzuki founded Tassajara and at the legendary “Zenefit” where Suzuki got up on stage to thank Janis Joplin for her for amazing performance. Burkett and editor Wanda Isle bring all of these great moments in American Zen to life – and many more personal moments like a sympathetic Suzuki helping a college kid make sense of his existentialist struggles over a warm cup of tea or that same Stanford kid introducing a Japanese Zen master to his very first ice cream sundae. The book would be well worth the price if all it did was bring the reader up close and personal with Suzuki Roshi. But it does that and so much more. “Nothing Holy” also provides a simple, yet profound, guide to Tim’s own teachings. As the Guiding Teacher at Minnesota Zen Center, Tim applies the principles he learned from Suzuki and the other great teacher in his life, Dainin Katagari, as well as his own background as a psychologist and social worker. His book captures those teachings in a practical, step by step approach to Zen that is kind, compassionate and grounded in the the idea that true Zen is about gently and fully embracing the life you have right in front of you. The author maintains there is “nothing holy” about the Zen he learned from Suzuki Roshi. But there certainly is something very valuable, satisfying, and enjoyable about it. The same can be said about Mr Burkett’s first book. First a disclosure: I’m a friend of the author’s. But I will give you an honest report, as is appropriate for a book about a way of sincerity. This is a book about Tim Burkett’s life on the path of Zen Buddhism as it illuminates the path for others to learn from. The book mixes copious and wonderful stories from his experiences with his famous teacher, Suzuki Roshi, from Tim’s own life as a Zen student and teacher, and from the Buddhist and allied traditions to create a well-woven narrative that is simultaneously teaching, autobiography, and remembrance of another. I’m not a Zen adherent so there are aspects of the book that I didn’t resonate with. But nonetheless I felt myself elated to be reading it. Mainly it was because as I read the first few chapters I felt like I was reading a book unlike any I had read before. In fact, it wasn’t that the book was so unique—in it’s themes, say—but that reading it didn’t feel like reading a book at all. It felt like a direct encounter with a person. The book is the testament of someone who has digested a way of life so thoroughly that there feels like little Zen teaching in it that isn’t carried in Tim’s own voice and personality. You sense—though it’s embarrassing to even say it outright—an achievement of a life. And it was immensely refreshing and heartening to bear witness to it. It’s also an achievement of an editor. The three themes are woven beautifully together so that the multiple purposes of the book are in harmony with each other pretty near completely. These are the pleasures that readers will derive. In addition, it is a very penetrating presentation of the Zen way, particularly in a contemporary American context. I think both Zen students and those unfamiliar with Zen will learn a great deal from this book. Excellent book with multiple layers! This book reads with the intimacy of memoir, its voice clear, forthright, and wise—easy to trust. Burkett seamlessly intertwines his teachers’ lives and teachings with his own experiences developing a lifelong meditation practice and becoming a teacher himself. In so doing, he provides a kind of emotional path, or map, which allows me to identify my own spiritual longing, and find out what to do about it. A wonderful read, an enduring impact. I have really enjoyed this book, even though i am not buddhist. I would recommend this book to my friends. Nothing Holy about It, is a wonderful book. It is well written, with humor and compassion. 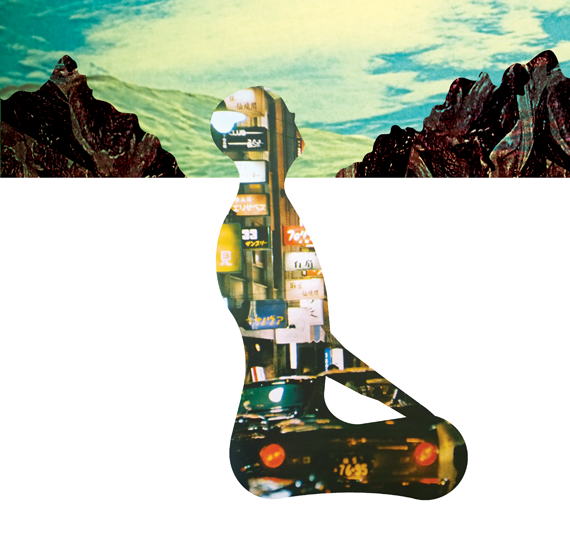 Tim Burkett makes meditation sound doable and accessible to all who are interested. Learning the Zen of Being Just who you are is a concept touching us all, Tim gives us steps to do so. Funny, tender, wise, interesting, and so helpful! This is a book that you can read from front to back, but you don’t have to. Short chapters stand on their own like little short stories or dharma talks, so you can pick it up when you just have a minute and want to feel rejuvinated. When I first picked up this book, it opened to a piece of wisdom that was uncannily poignant and shifted my day. This is one that I will keep accessible and read many times over. This book falls into the genre of what I call “Zen Upper Rooms”‘, named for the Upper Room devotion-a-day booklets distributed at many Christian churches … short chapters that work well for one-a-day reading. What distnguishes this one are the poignant reminiscences of the author about his teacher, the American Zen pioneer Shunryu Suzuki, and life in one of the earliest U.S. Zen communities in San Francisco during the late 1960s. Could have been just a random collection of anecdotes and stories, but well-organized, warmly written, and inspiring. Will stand up very well to periodic re-reads over time, as the best of books in this genre tend to do. Great book filled with wisdom. I really appreciate Burkett’s perspective. Highly recommended.